Many of our songbirds have departed for tropical climes to spend their winter. I confess that some days I envy them their choice. Like you and I, though, many others remain behind. They will fluff their feathers to tough out the cold, spending these short days in a perpetual hunt for food to keep them warm. You can help their hungry quest. Remember the movie Mary Poppins and the scene where the lady sings “Feed the Birds”? She was feeding city pigeons, but you can feed our diverse songbirds using a convenient birdfeeder. For loose seed, we use a hopper feeder. The hopper resembles a tiny roofed house which is filled with seed that is dispensed from a trough at its base. 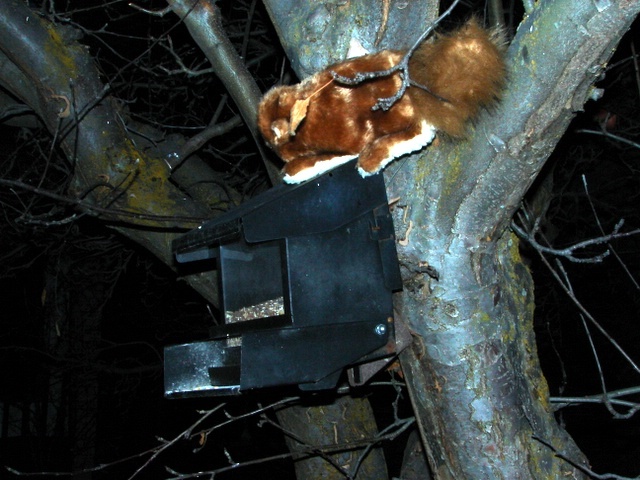 To exclude squirrels, we have a metal squirrel-proof feeder, but you could put a baffle on the feeder’s supporting pole. The other common style of seed feeder is a broad tray. It will need a roof and drain holes to keep the seed dry and free of mold. Our feeder is above a stone walkway for birds like juncos that prefer seed spilled on the ground. A ring of upturned tomato cages around this area excludes cats, and the season’s discarded Christmas tree will provide them cover. The best seed to offer is black oil sunflower seed, rich in fats and proteins, with a thin shell. Our diners include chickadees, finches, sparrows, nuthatches and woodpeckers. 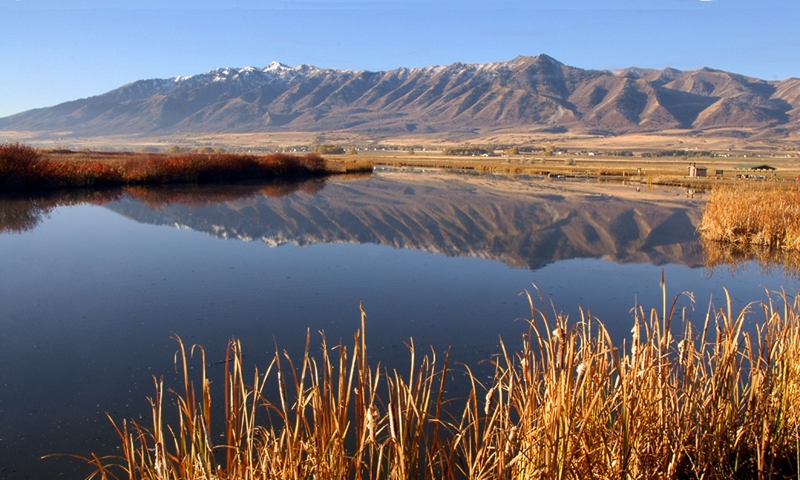 If you buy seed mixes, juncos and sparrows will take white millet, but milo or so-called red millet is a filler. Doves and jays like cracked corn too. Goldfinches and pine siskins flock to Nyjer thistle seed dispensed from a fine mesh sock you can buy with the seed. 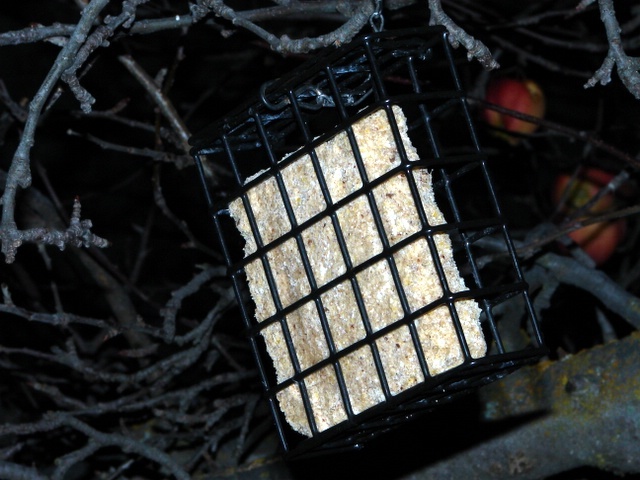 Woodpeckers and nuthatches appreciate a suet feeder too, being a wire mesh cage containing a block of seed-filled suet, typically rendered from beef kidney fat. Expect magpies to hammer chunks off that suet block occasionally; our dog knows all about it. Nothing quite cheers a wintry day for me like colorful songbirds noisely bustling at our feeders. If you do put up feeders, consider participating in Project Feeder Watch. 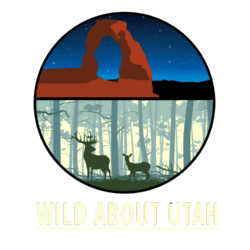 You can find details on our web site, WildAboutUtah. Bon apetite!